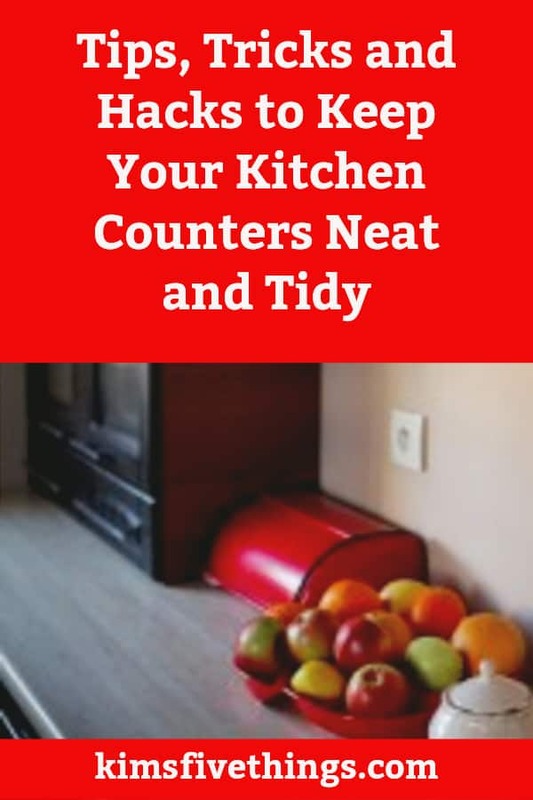 By de-cluttering your kitchen counters you could save yourself from having to buy extra kitchen cabinets or even a whole new kitchen. 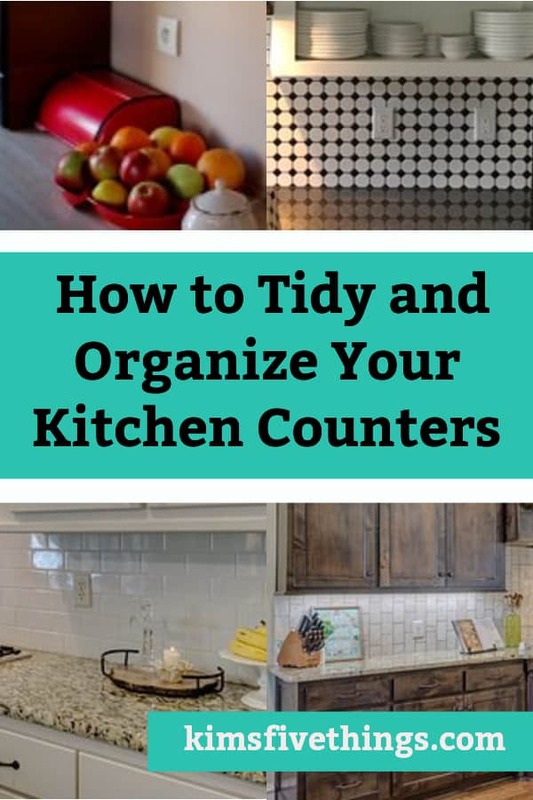 Here are some tips, tricks and product ideas to help you have a neat tidy and functional kitchen that will be a pleasure to work in. 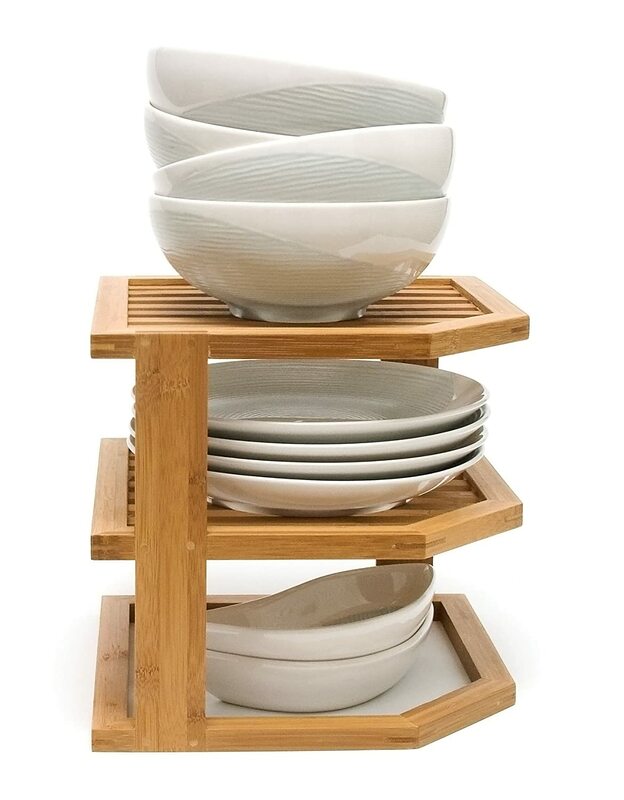 Over the microwave kitchen counter storage shelving is an extra storage space in a previously unused area. Here you can place items that are used most frequently like olive oil and dried herbs. The best countertop storage containers to choose should be both functional yet stylish. If you have a small kitchen to declutter and organize one way to make the most of the space available is to find a countertop storage unit that will sit snugly in the corner. 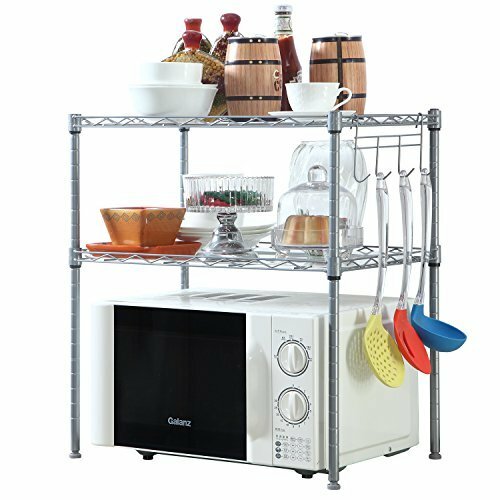 You can use these shelving units in a practical way to store all kinds of kitchen equipment and consumables that you need close at hand. 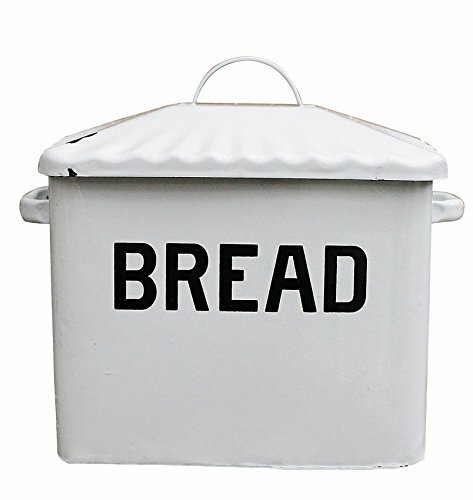 Or alternatively, use these as kitchen storage units for showing off your more decorative pieces like pretty teapots and tea sets. 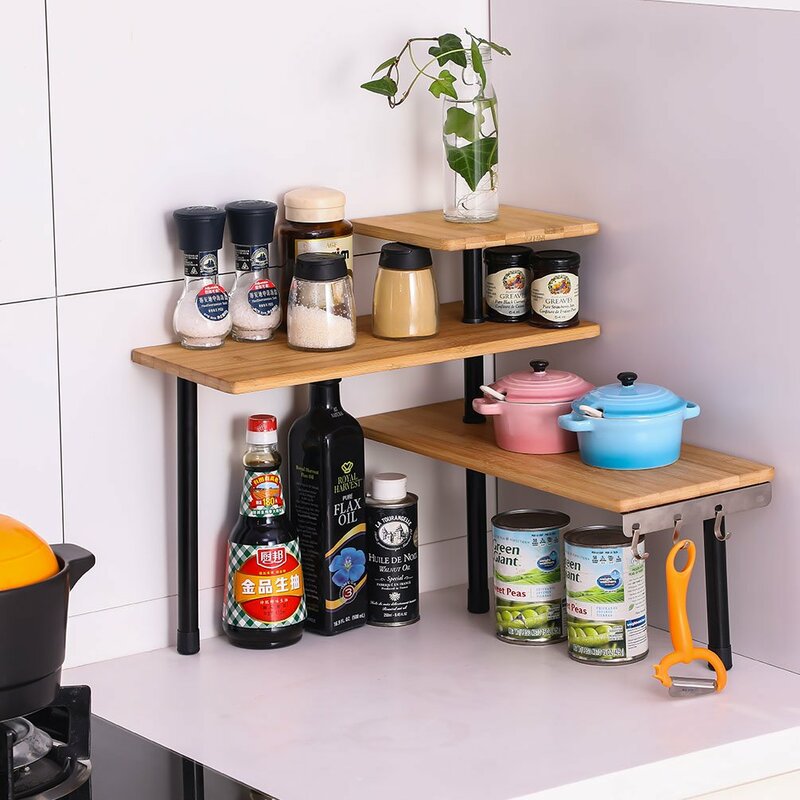 Kitchen shelf furniture that will fit neatly into the corner can be very attractive for example the wooden set of corner shelves pictured below. 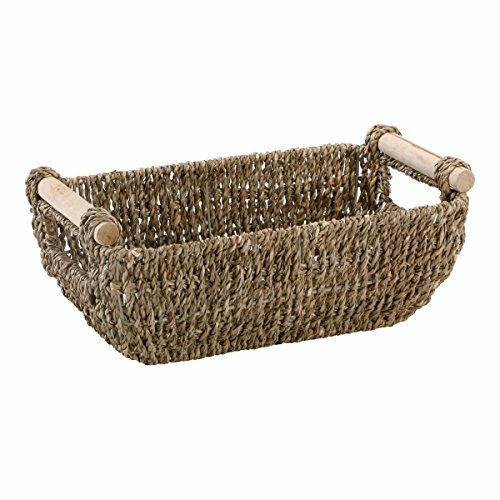 Wicker storage baskets make great countertop containers to arrange all your often used items in the kitchen. 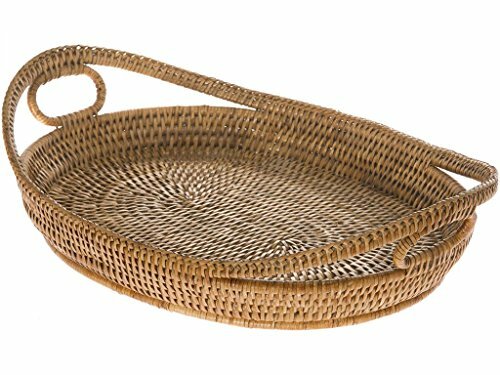 They work just as well in modern, rustic or farmhouse style kitchens. 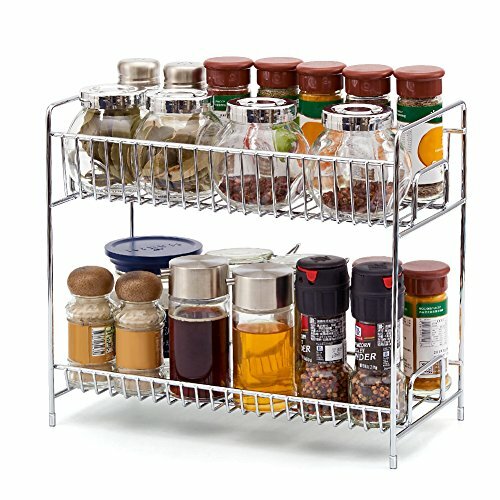 I like to use storage baskets like this as you can easily move the tray when you are cleaning down your countertops. 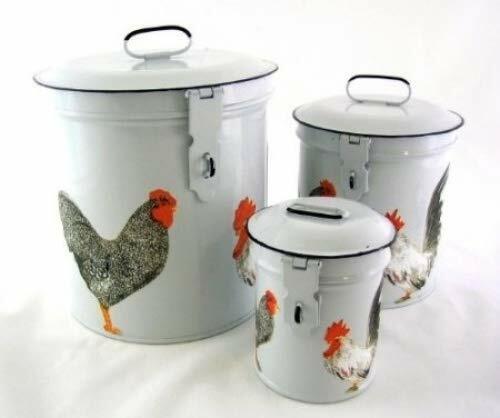 Enamel kitchen countertop food storage ideas could include such items as tea and coffee canisters, bread crocks, pasta jars and countertop storage bins for sugar or flour. I have fond memories from my childhood of visiting my Uncle and Aunt’s dairy farm. I liked the way all the animals included loads of chickens were running around all over. I loved being asked to help collect the eggs. 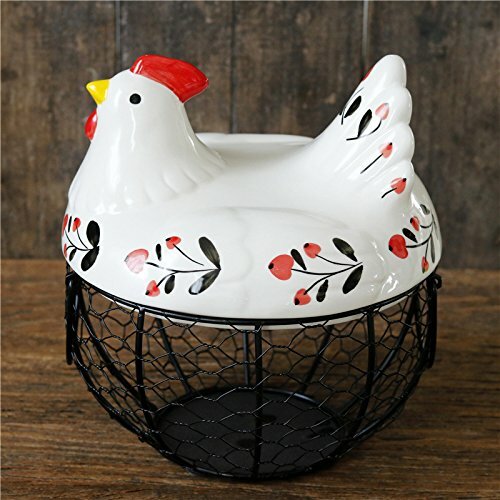 In the farmhouse kitchen, they had a chicken shaped wire container to store the eggs after they had been collected. 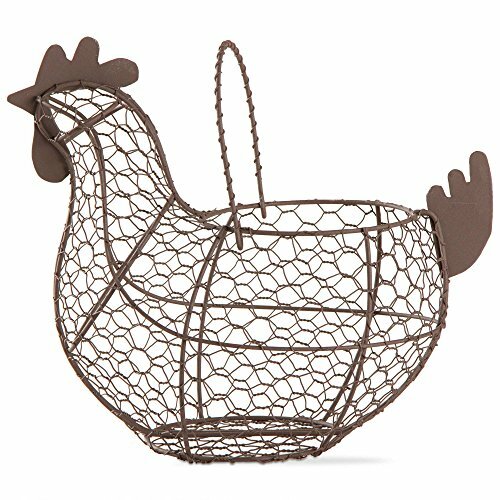 Here are a couple of wire egg baskets that remind me of those days. 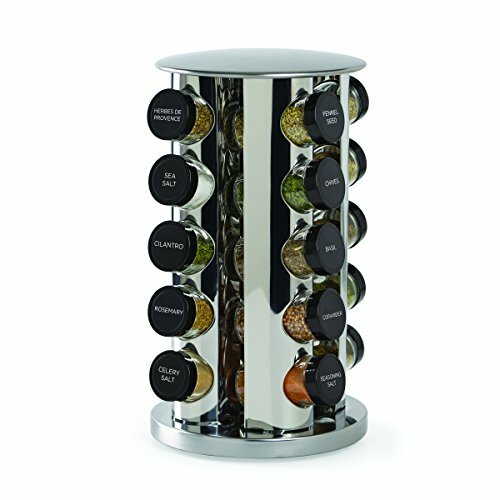 One way to quickly organize and declutter your kitchen is to invest in a spice rack. 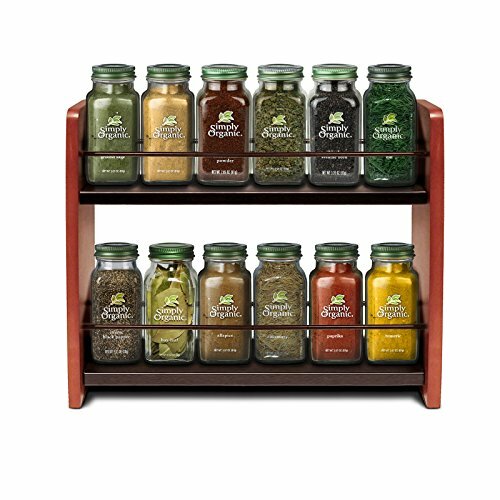 These replace all your odd mismatched bottles and jars of herb and spices and arrange them neatly in a rack that takes up a small area on your counter. One clever way to save space on your countertops is to invest in a set of stackable canisters. This is especially true if you have a kitchen with limited counter areas. 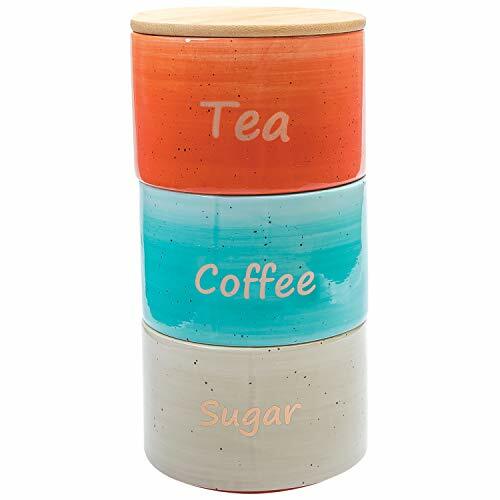 These tea coffee and sugar canister are perfect for sitting by your kettle so that all the items you need for making beverages are close at hand. I think appliances and gadgets are the worst offenders for cluttering up your kitchen workbenches. To begin with, I really think you need to seriously think about how necessary each appliance is to you. For example, if you don’t bake then leaving a large food processor out on the countertops is unnecessary. Does the smoothies maker get used often enough for to stay permanently on the countertop? Freeing up space on your kitchen counters is probably the best way to organize your kitchen so you can work efficiently when making meals. It also makes the whole business of preparing food so much more pleasurable. In this video we see ways the get clutter off your countertops, I really like the idea of the rack that has baskets hanging off it. Have you ever heard of the decluttering queen Kon Mari? If you haven’t I would 100% recommend borrowing or buying her book, “The Life-Changing Magic of Tidying: A simple, effective way to banish clutter forever”. Advice from that book shows you how you can tidy up your home and kitchen by getting rid of clutter and organizing the stuff you want to keep. As Kon Mari says you declutter and tidy once, properly, and you never need to do it again.